The St John's Wort Asperger's Syndrome Treatment Option: Does It Help? The St John’s Wort Asperger’s Syndrome Treatment Option: Does It Help? Those who have Asperger’s syndrome, an autism spectrum disorder characterized by impaired social and communication skills, can often find themselves feeling anxious, nervous, or depressed. One form of treatment for these symptoms is St John’s Wort, a herbal supplement that can be purchased at health stores or online. The St John’s Wort asperger’s syndrome treatment option is helpful for certain people, particularly those with milder symptoms. St John’s Wort (scientific name: Hypericum perforatum) is derived from a wild yellow flower and sold in capsule, leaf, or liquid form. The health benefits of this herbal supplement include improvement of mood and relief of minor depression, anxiety, tension, and stress. Individuals may choose to take St John’s Wort as an alternative to prescription depression/anxiety medications such as SSRIs, SNRIs, and benzodiazepines. 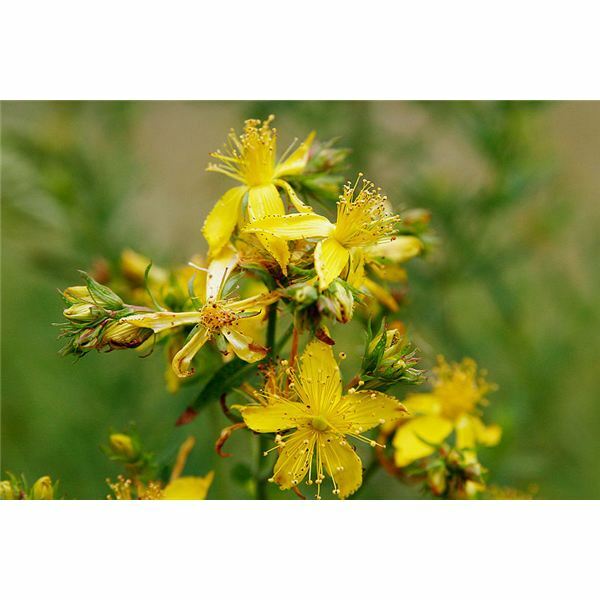 St John’s Wort is commonly taken in doses of between 200 mg and 600 mg per day. Though the supplement does not treat Asperger’s syndrome on the whole, it is sometimes used to manage some of the known psychological issues associated with the syndrome. (1) Scientific studies suggest that St John’s Wort is effective for individuals who experience depression and anxiety in milder forms. However, studies carried out by the National Center for Complementary and Alternative Medicine have shown that St John’s Wort is not effective for major depression. (2) People with Asperger’s syndrome who demonstrate symptoms of major psychological disorders should seek a different form of treatment, such as medication. –a general state of mild to moderate depression, which commonly stems from an inability to form friendships with peers, frustration as a result of feeling "different" from others, exposure to bullying, or loneliness. –anxiety, which may occur when routines are abruptly changed, social situations are difficult to navigate, or sensory issues lead to overstimulation and frustration. –drowsiness, a symptom that may be more pronounced in those who take St John’s Wort in addition to prescribed medications for depression and anxiety. –gastrointestinal discomfort (nausea, cramping, stomach pains). –are at least seven years of age. Children and young adults who take St John’s Wort should be given the lowest effective dose and should be monitored by a doctor. –are experiencing mild to moderate symptoms of depression and anxiety (studies have not yet proven the effectiveness of St John’s Wort in regard to severe depression). –are not currently taking medications that may be rendered less effective by St John’s Wort (certain oral contraceptives and high blood pressure medications). –are not pregnant or breastfeeding. The St John’s Wort Asperger’s syndrome treatment protocol is easy and relatively safe for most people to try, though the supplement may produce more effective results in some individuals than in others. St John’s Wort and other natural supplements for depression should always be taken as directed by a health professional and discontinued if worrisome side effects should occur. Image credit – picture taken by Fir0002 and released into public domain under GNU Free Documentation License.